Showing 40 of 126 results that match your query. Product - La Providencia™ Homestyle Tostadas 24 Ct.
La Providencia™ Homestyle Tostadas 24 Ct. 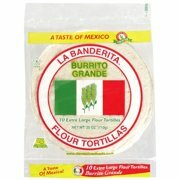 Product - La Fe Corn Tortillas De Maiz, 19 Oz. La Fe Corn Tortillas De Maiz, 19 Oz.